To live free from sexual assault is not a comfort that must be earned – it is a right. The NY Post editorial entitled The New York Times’ ‘Homeless’ Hooey disagrees and calls the mice and mold infested rooms at the Auburn Family Residence where residents risk being the victims of sexual assault and other violence “too generous” for the families living in it. This was the response of many to the NY Times’ article Invisible Child: Dasani’s Homeless Life. This article follows the 11 year old girl living at the 600+ person shelter by my old High School, Brooklyn Tech. According to the article the shelter is not up to code and has many serious violations including passing out expired baby formula and food to residents. Rather than being appalled by the conditions these children live in, some prefer to argue that they deserve it, if not less. Dasani’s parents have been addicted to opiates for years and are currently battling through withdrawal and the psychological damages of addiction. Many use this as justification for cuts to programs designed to feed kids and get families jobs and housing. Our society discriminates against people living with mental illness, especially those battling addiction. People with severe mental illnesses have been the victims of brutality and homicide by our own police. Recently, a 90 lb teen with schizophrenia was helded down by two officers, tased, and shot dead by a third officer. This was in response to a 911 call by his parents to get him to a hospital. And while not true of many people living without permanent housing, addiction and other forms of mental illness – depression, schizophrenia, and bipolar are prevalent among those in the shelter system. Mental illness creates an invisible minority group. And when that minority status is exposed like an unbandaged wound the rest of the world backs away. Others become uncomfortable and develop a system of victim blaming. This only results in further discrimination and victimization. All people are deserving of the same rights and the same human dignity – from others and from our government. Mental illness and homelessness can happen to anyone. There is no such thing as the deserving/undeserving poor. 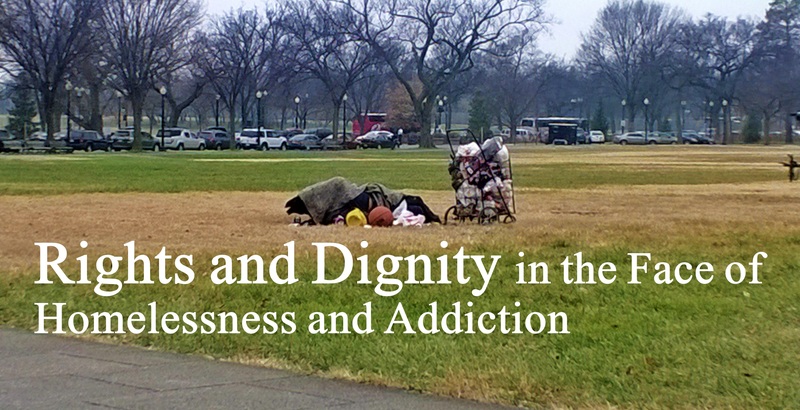 People, especially those fighting mental illnesses like addiction, do not have to earn human dignity. They are not less of a person for their situation and illness. And EVERYONE has the right to safety from sexual violence. It does not matter if they live in a shelter, public housing, or a pent house. And despite what the NY Post says, it is the city’s job to protect that right. I encourage everyone to read Dasani’s story of her life as a homeless eleven year old.